Each year MWGB features a Treasure Hunt (consult schedule for start location/times). This activity is a great way to have some fun with your friends and walk away with a guaranteed prize! 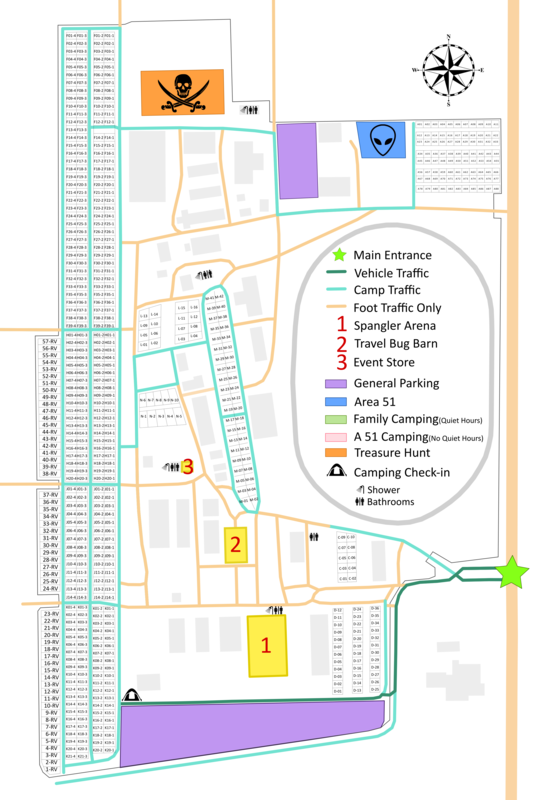 We set up the Treasure Hunt in the horse arena at the north end of the fairgrounds (near Area 51). Participants in the Treasure Hunt will use a metal detector to locate the buried treasure in the arena dirt. Each piece of treasure is a collectible MWGB trackable that is yours to keep! In addition to instantly winning your trackable treasure, each treasure includes a numbered ticket that could be an instant winner of any of our top prizes. Other fun things we may think of! In order to participate in the Treasure Hunt, you must have a ticket! Tickets can be purchased at the event store during the event week. We do sell a limited number of tickets each year, and they are sold on a first come, first served basis. So we encourage you to purchase your tickets early if you plan on participating. Special thanks to our Treasure Hunt Coordinator, Papa2All, for all the work that goes into setting up this activity, as well as all of the many Treasure Hunt volunteers that help make this activity happen every year.